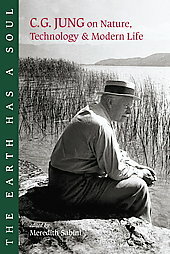 The book we’re going to study this year is The Earth has a Soul: C.G. Jung on Nature, Technology & Modern Life by C. G. Jung, Meredith Sabini, and Joseph Campbell. If you want to get a taste of what the book is about, check out Meredith Sabini’s article about the book on the website EcoBuddhism.